Finding the perfect ‘forever home’ is an aspiration for many growing families. When Peter and Sarah found their 1821 country manor, they knew that their dreams had become a reality. “The property was unloved when we bought it, and needed TLC in lots of areas, but it was perfect” explained Sarah. However, renovating a period property can be challenging, as it is important to balance modern living essentials with design features that are sympathetic to the heritage of the building; something that Sarah and Peter felt Davonport could help with. With a growing family to accommodate, when renovating the house Peter and Sarah were keen to reconfigure the ground floor to ensure that the space was properly optimised. 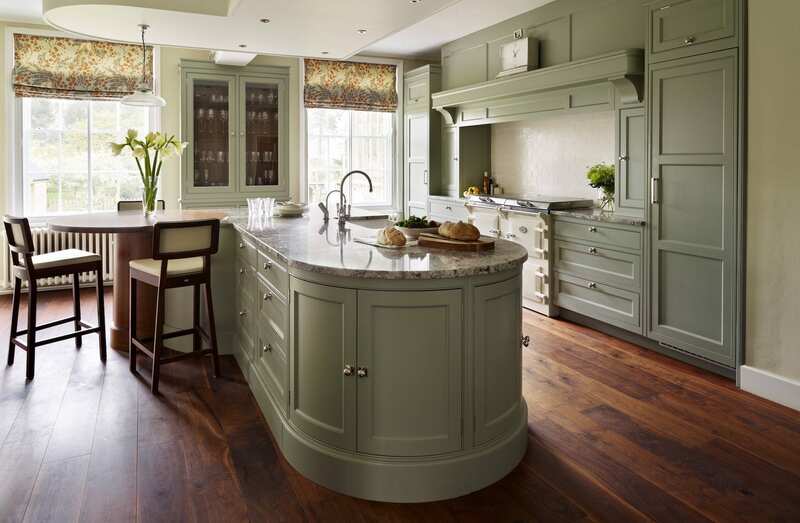 They both felt that the kitchen was the most important part of the house to refurbish as it would form a relaxed base for the family; “the main thing we felt was that the kitchen needed to be the heart of our home. We really needed to renovate that,” said Peter. The kitchen that was in the property when they moved in was too small for a family. Therefore they turned the old kitchen into a playroom for their daughter and began restructuring the sitting room into a large family kitchen. 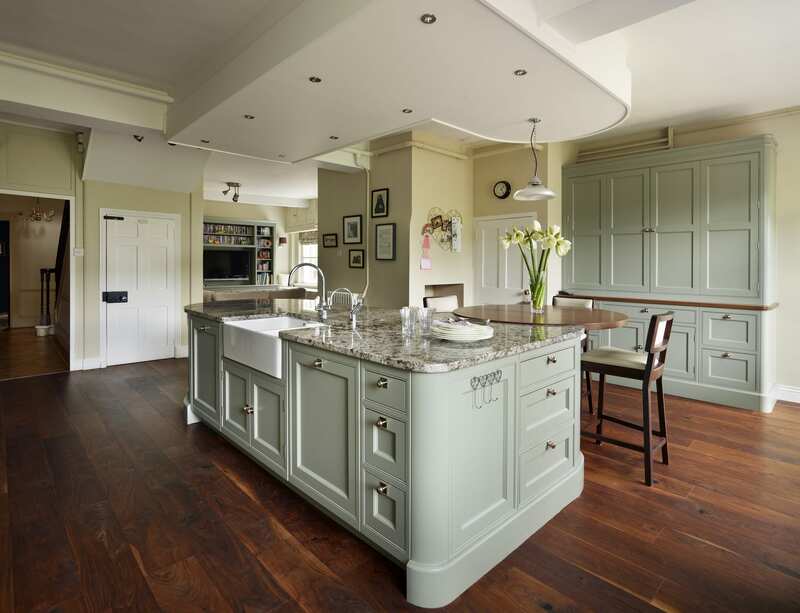 They chose the Fallowfield kitchen by Davonport, a beautiful example of classic English elegance which would blend seamlessly with the classic feel of the building whilst modernising the room and enhancing its functionality. Though the most important thing throughout the design process was ensuring the design worked well for the family, the age of the building was also a key consideration. “We talked about the styles that I liked and the history of the house and tried to tie it in,” said Sarah, whose thoughts on what she wanted from the kitchen changed over time, meaning that the design had to evolve with it. “I had a little mood board of things that I had found and liked, which helped,” she explained. 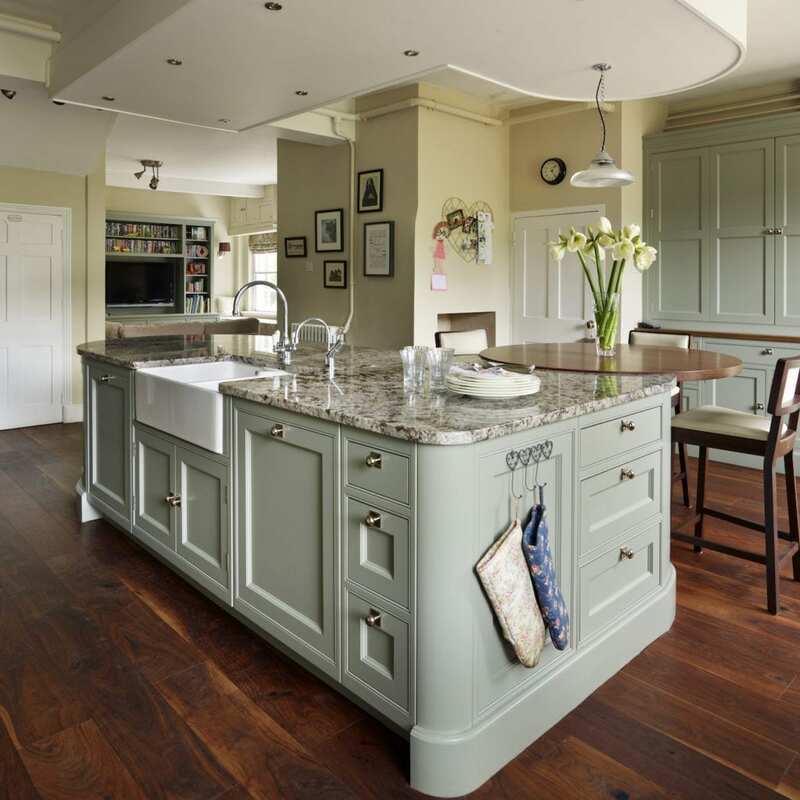 The end result was a traditional kitchen with modern touches; the perfect balance between old and new. The island is the centrepiece of the kitchen, designed to accommodate and encourage time spent as a family. The round walnut table attached to one end of the island creates a space to relax with loved ones while cooking. 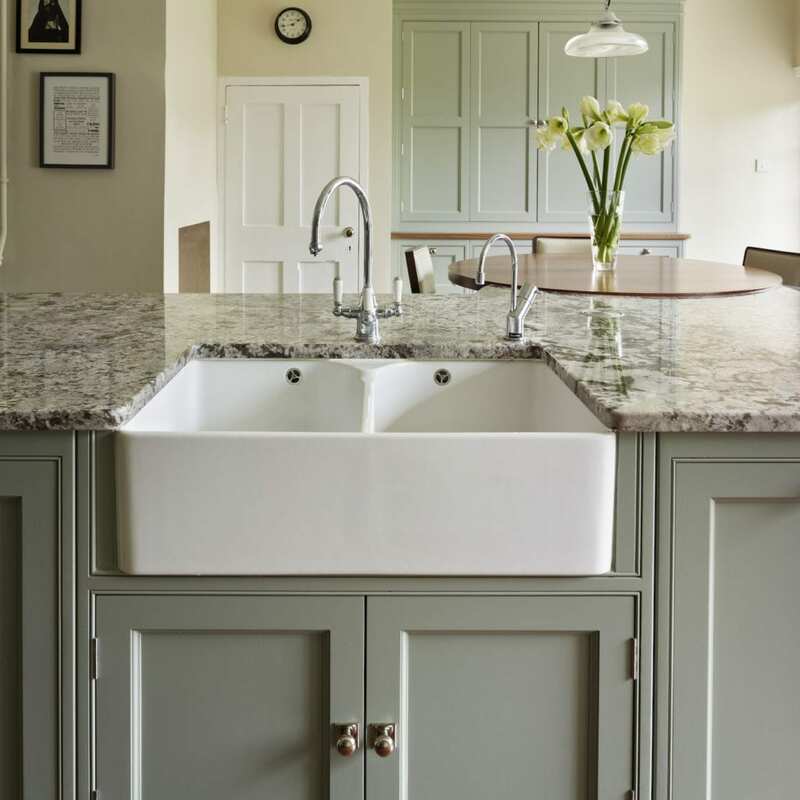 The island itself features a butler sink with a Perrin & Rowe mixer as well as a Quooker boiling water tap. The Perrin & Rowe tap offers a period aesthetic, fitting the history of the property, whilst the Quooker hot tap offers the modern day luxury of instant boiling water. The worktops on the island and the rest of the kitchen are Juparana Torrone granite; an unusual and striking granite with a bold appearance which Sarah was set upon from the very start of the design process. It is also very hardwearing – perfect for Sarah, who enjoys cooking and baking, especially with her daughter. The kitchen was designed to make all the necessary appliances easily accessible, but not permanently on display. “If you have a beautiful kitchen it seems a shame to clutter it with other things, so one of my goals is not to have much on the work surface,” said Sarah. 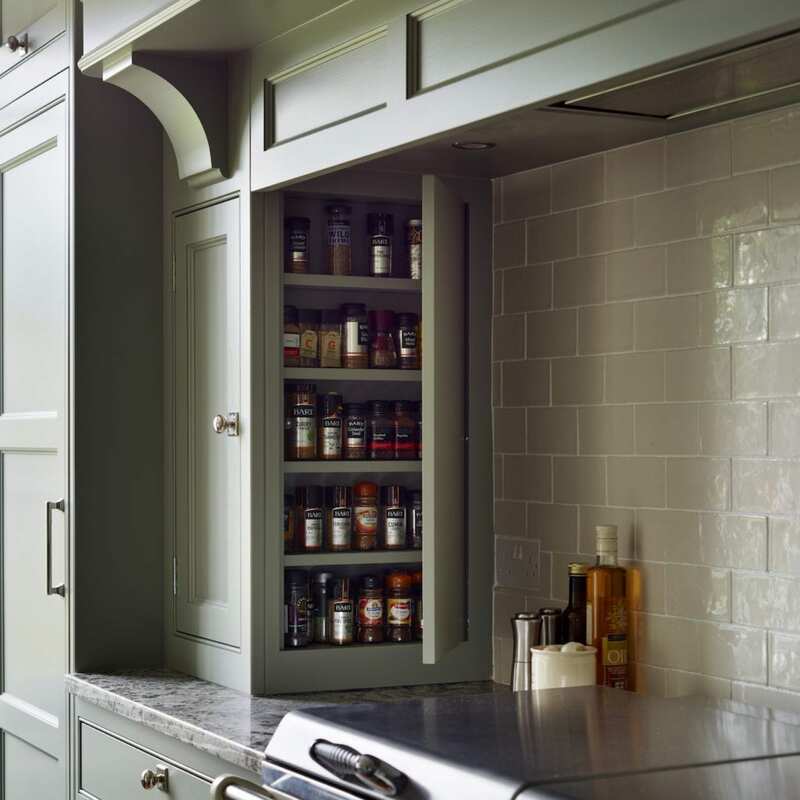 A pantry cupboard with bi-fold doors was built in to the design of the room, providing space to store cookbooks and appliances such as Sarah’s KitchenAid. The appliances are kept on pull-out trays to make them really easy to access. 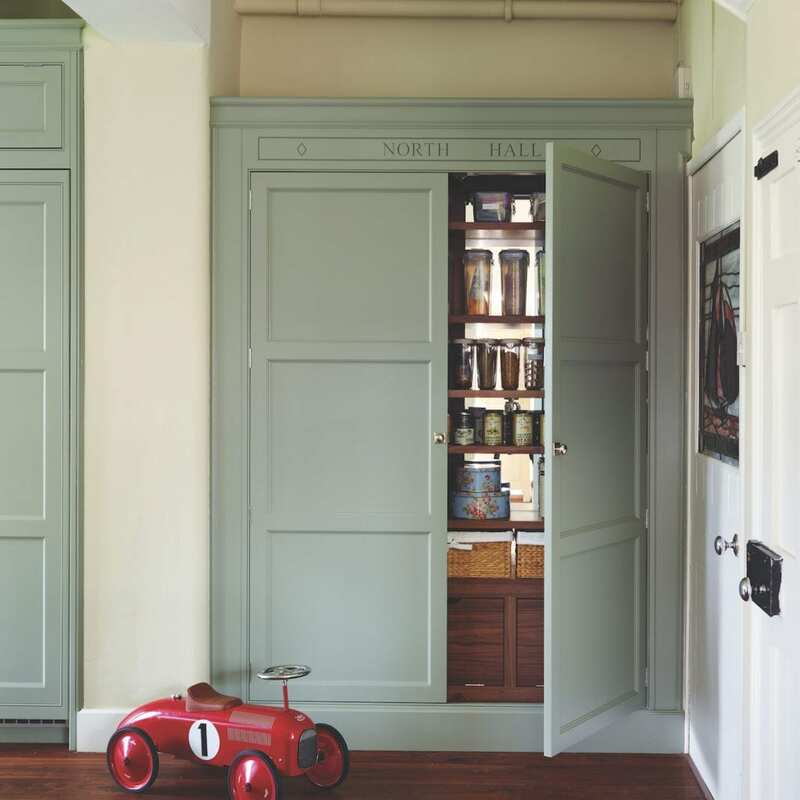 An additional larder cupboard was made to store dry goods, with a mirrored back wall to make the space appear larger and brighter. 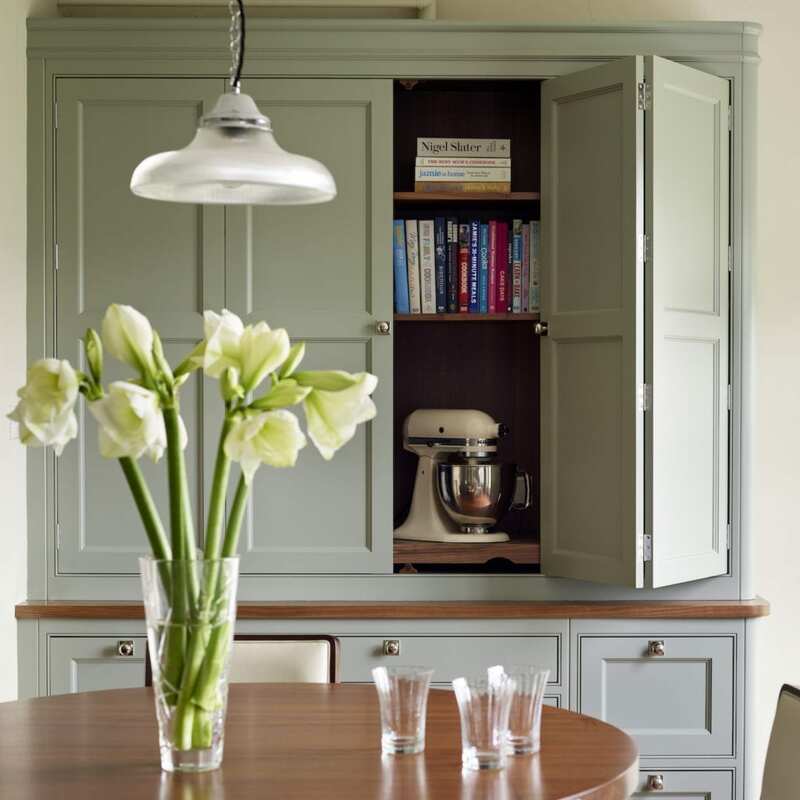 The colour scheme of the whole design is very subtle; “I decided to go for neutral walls and coloured cabinets and I am really happy with the choice,” Sarah explains. 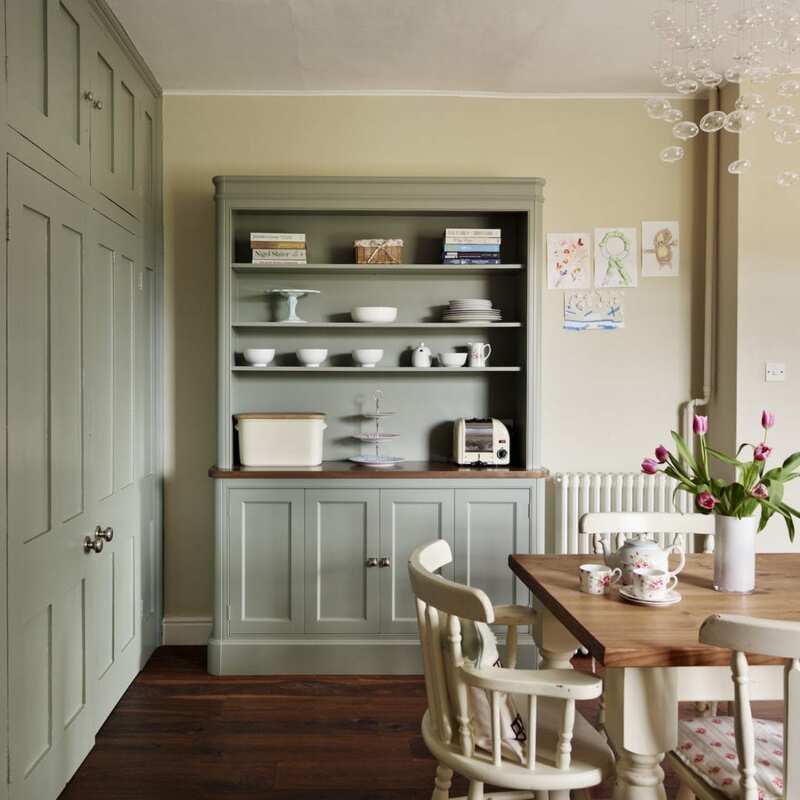 As Sarah was keen to achieve a look that didn’t date, the colour palette of Farrow & Ball’s ‘Pigeon’ green, cream and rich walnut was perfect, giving a timeless feel to the period kitchen cabinetry and blending the old and new elements of the room together. The Everhot range cooker also suits the classic styling of the room, with the mantle and cupboard surround made by Davonport emphasising the feel of English elegance. Despite appearing as a classic design with traditional features, the appliances hidden amongst the cabinetry guarantees that the ease of modern cooking is still achievable. As well as the Quooker boiling water tap and Everhot range cooker, Peter and Sarah’s Fallowfield kitchen also features a Miele dishwasher, fridge and freezer. This is the perfect example of a classically styled kitchen with the convenience of contemporary appliances. The kitchen opens on to a relaxed seating area with a bespoke media cabinet and a bench seat running along the window, which were also designed and manufactured by Davonport.The same colour paint used on the kitchen; Farrow and Ball’s ‘Pigeon’, was also used to hand paint the media cabinet, connecting the kitchen prep and cooking space with the sitting room, encouraging a natural sense of flow. The final addition of a corner sofa provided plenty of seating, enabling the whole family to use the space throughout the day. 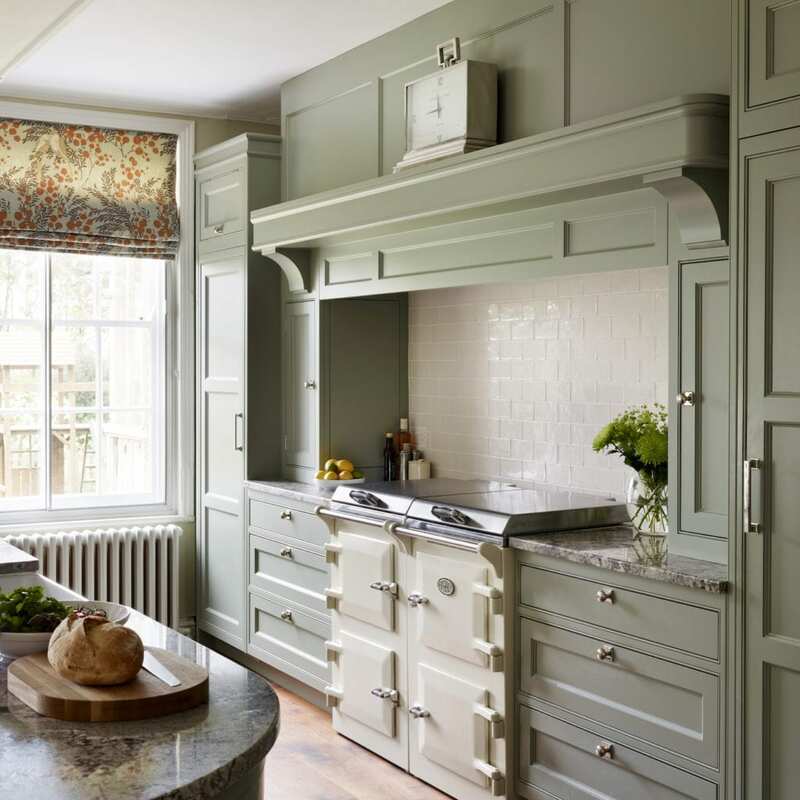 Renovating a period house doesn’t mean compromising on functionality or modern design. The Fallowfield collection by Davonport is the perfect solution, transforming this kitchen into a beautiful space to enjoy with family that remains reminiscent of the classic elegance of the building’s architectural heritage.